As a professional, you’re constantly dealing with ice and snow-related building issues for your customers the instant winter hits. But, what you may not know is that there’s a simple and readily available ice melt solution to all of your customer’s building needs. Heat Trace Specialists designs, manufactures, and distributes a comprehensive line of effective and easy-to-install ice melt systems to combat your customer’s ice problems. Melting snow turns into ice at eaves and valleys where roof temperatures are cooler, creating dams that will allow water through the roof’s protective barriers. From heated roof panels and heat cables to heated pipe systems, all of the ice melt products offered by Heat Trace Specialists are easy to install and easy to sell, making your job easier from every angle. Help your customers boost curb appeal and prevent devastating ice buildup with energy efficient and elegant SnoFree™ heated roof panels for every winter need. Ideal for mild climates, our zig zag heat cables are an easy-to-install option to prevent ice buildup over the winter months. Design your own cable system by using our calculator here. Our temporary ice dam removal solutions are an effective interim solution to help your clients plan for a more permanent ice prevention system. Efficiently remove ice or snow build up on flat roofs with a strategically designed drain heating system. Heated concrete systems are a perfect addition to homes and businesses for ice-free sidewalks, walkways, porches, and patios. Add a walkway heating mat to any entryway to help reduce the risk of accidents and the need to shovel snow. Our comprehensive external pipe heating systems ensure that all fluid delivery systems are always ice-free and operational. 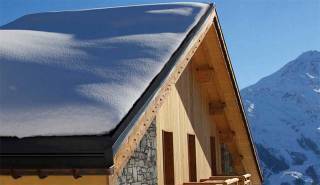 Each ice melt system offers a variety of protective options depending on your customer’s needs, ranging from our elegant and efficient SnoFree™ Heated Roof Panel System to zig zag heat cables intended for mild climates. Easily mix and match solutions for the best option available to reduce ice and snow damage. Ready to offer the best ice melt solutions available to your customers?